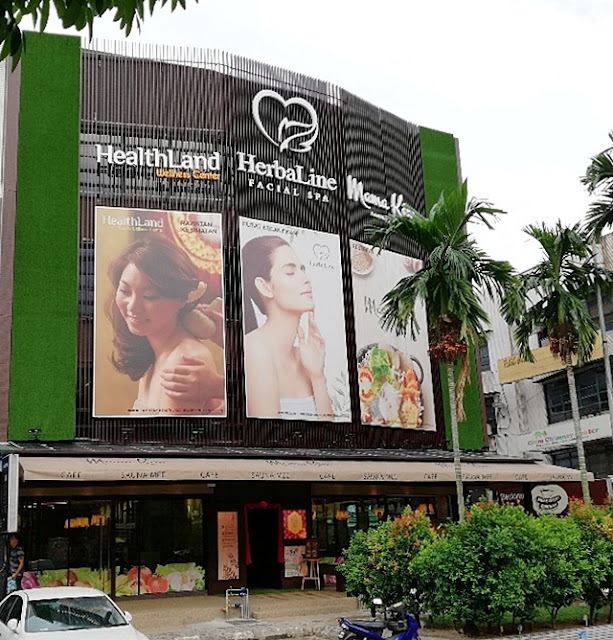 With this new 3-in-1 concept at HERBALINE now I can have my facial at HERBALINE Facial Spa, body massage at Healthland Family Wellness Centre and complete my day with a healthy meal at Mama Kim Sauna Mee Café all in one hub. Eat Well, Look Well and Live Well at the new Herbaline’s New Integrated Beauty & Wellness Centre at Hartamas. HERBALINE has been in the beauty and wellness industry for about 17 years and they constantly upgrade their services. 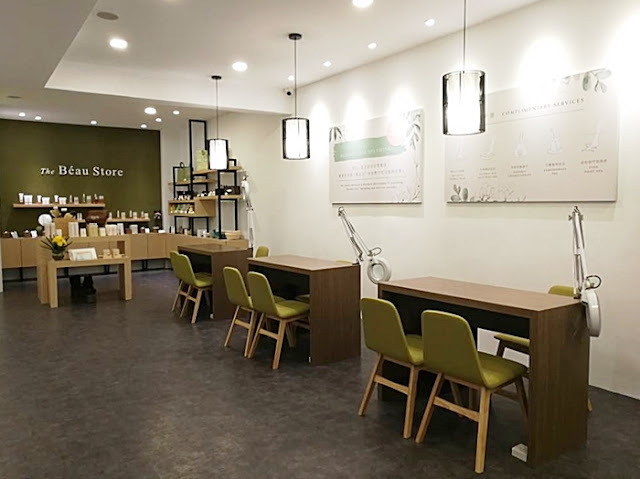 This year, HERBALINE hit another milestone with the launch of its new 3 in 1 outlet at Hartamas, in collaboration with Malaysia’s reputable wellness centre Healthland in a bid to bring an enhanced beauty wellness experience to us. 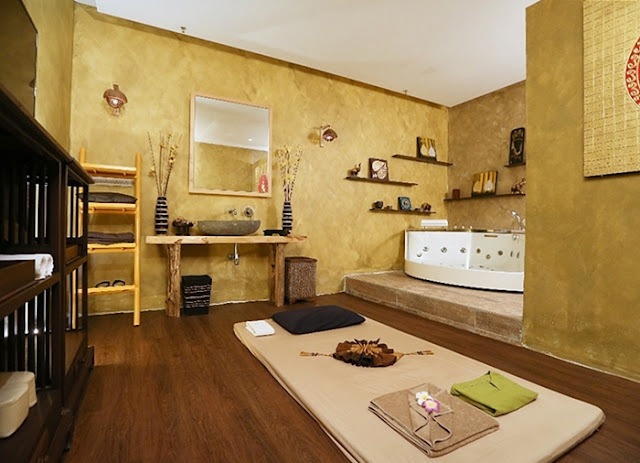 Well HERBALINE Facial Spa is a proper and professional spa when you want to go for your facial. Not only they’ve got well trained therapist but also their prices are acceptable because they maintain their business philosophy of providing “burden-free” to their customer. Their facilities and products are always in tip top conditions plus trustable. I don’t feel pressured to sign up any spa packages or courses when I am there. Their consultants give me the comfort and flexibility to choose the treatment based on my skin needs ranging from RM69 to RM169 without commitment or have to sign up any course. HERBALINE Facial Spa offers various types of facial treatments with value-added complimentary services such as sea salt foot bath, fish spa therapy, relaxing pebble walk, natural aromatherapy, detox lemongrass drinks and etc to ensure that we had a truly relaxing time. Healthland Family Wellness Centre is a holistic lifestyle with health program and activities for the whole family. 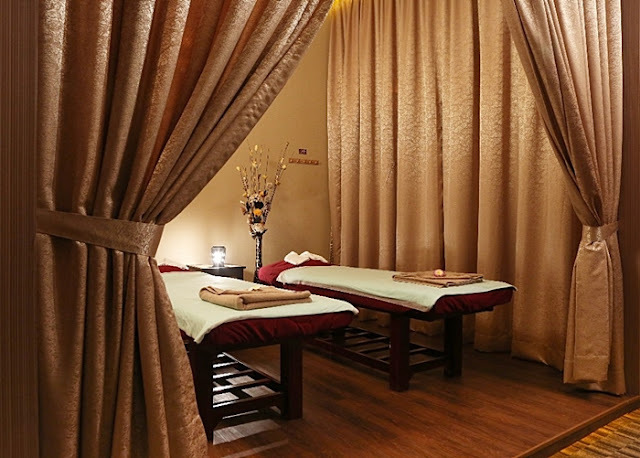 You ca totally relax and recuperate after the treatment because all their therapists are professionally trained by the acclaimed Wellness Academy in Thailand. Their massage rooms and areas are well upkeep and proper, plus there is an area dedicated for just female customers. I will definitely go back for more because I think I need to pamper myself at least once a month. Self-love is important because when we love ourselves we feel happy and we can love others more. And finally we have completed our pampering session and ready for a great and healthy meal at Mama Kim Sauna Mee Café. The café is located on the ground floor and they have a comprehensive menu with a philosophy of “Where Healthy Is Yummy”. Their healthy recipes really suits my lifestyle and tastebud with the concept of 80% vegetable and 20% meat in a single dish makes Mama Kim a stand-out for the neighborhood who desires healthy, authentic yummy dishes. Do you know that all Mama Kim’s dishes include 5 major colours, fresh ingredients, no MSG, no white flour, no sugar, less salt, less deep fried, balanced nutrients and 80% vegetables 20% meat average. Such a healthy treat after facial treatment and body massage is totally perfect. I had their must try Sauna Mee @ RM15.90 with salad and lemongrass drink, makes me feel so good. Not only the meal is tasty but also healthy, love it and I will go back with my family. Overall, I find that HERBALINE New 3 in 1 Outlet @ Hartamas Eat Well, Look Well and Live Well is a hub for family to relax and recharge in a holistic and healthy way. We can enjoy the facial, body massage and healthy meal all in one hub, such a wonderful concept for urbanites. Wah..Herbaline 3 in 1 oulet looks nice.Sambil berspa, can eat also.. So long I never visit to Herbaline. I use to love their facial service but now not so convenient for me. Bestnya herbaline. Semua ada kat situ. Sambil buat rawatan boleh makan lagi ye. Kalaulah dapat 'me time' di sini bestnya. Terbaiklah herbaline. This is the best place to me time with spa and facial & having your meals after finish pamper time. No need to think a lot where place to eat after spa. HERBALINE New 3 in 1 terbaik! banyak kali nampak herbaline then tak tahu nampak menarik dan cantik dalamnya. best dapat urut dan spa. What a great way to pamper yourself, can't wait to visit this outlet and enjoy a spa session there. I've tried the food in Mamakim and I really like it, healthy and delicious! semua boleh buat dalam satu masa,bestnya dapat pamper session dekat sini..Boleh relakskan badan dan minda selepas penat bekerja kan..